Bensalem Township was established in 1692 and its borders have never changed. We are surrounded on three sides by water- the Neshaminy Creek, the Delaware River and the Poquessing Creek- and the fourth side by Lower Southampton Township at Brownsville Road. 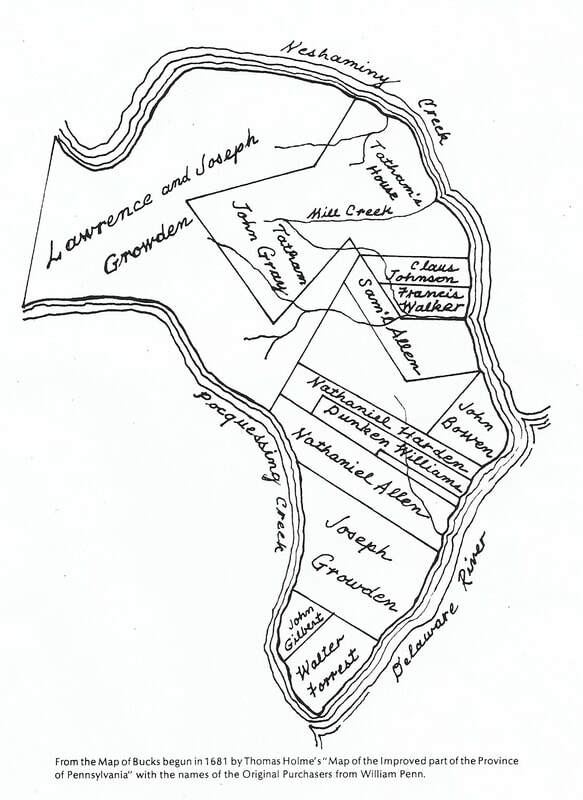 According to the Holme Map of 1681, there were only 12 original landowners on the 21 square miles of land. From the farms and mansions along the Delaware River, Bensalem has grown into a commercial & residential area. The Township is now home to thousands of people from various locations around the world. Most of the mansions in Bensalem were built between 1700 and 1800. Only two are open for public events- Andalusia and Pen Ryn. The early history of Pen Ryn contains a beautiful love story and a great ghost story. This history can be found in the first book published by the Historical Society titled “Traveling Through Bensalem 1692-1984”. ​A recent discovery has been found concerning the beautiful 1685 Growden Mansion. When Joseph Galloway (husband of Grace Growden) was named as a traitor, the building was sold at sheriff’s sale in 1779. The man who purchased is was General James Wilkinson. Who, according to new information, shows he was also a traitor! This mansion still stands as a monument to Bensalem’s history. 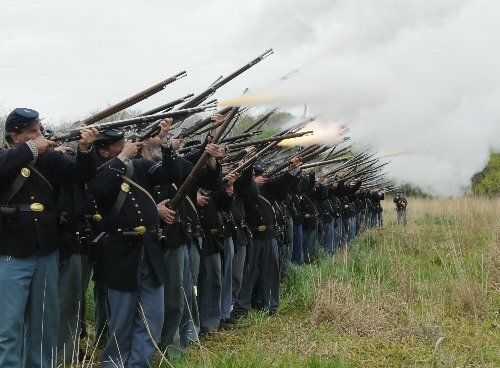 ​Civil War Re-enactments are held at Neshaminy State Park on the last weekend in April. This is now the largest free event of its kind on the East Coast and brings over 20,000 people to the Township. Two of the 1940’s industries located along State Road played an important part during World War II in keeping our airplanes flying. Learn about the spy threat in the next history book or call the Historical Society office for details at (215) 639-6575. ​Bensalem has a fascinating past and a promising future! 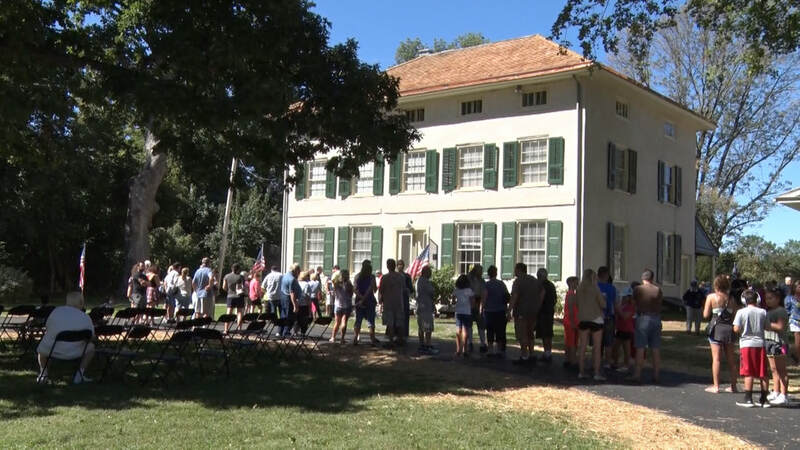 On September 23, 2017 the Township’s 325th birthday was celebrated at Growden Mansion and was hosted by the Township and the Historical Society of Bensalem. Over 500 people attended this free event. It was an afternoon to enjoy a colonial cooking demonstration, music, mansion tours, learn about the Lenni Lenape Indians and Concord Park history and enjoy a piece of birthday cake and a conversation with “Mr. Benjamin Franklin” about his visits with Joseph Galloway. The Historical Society of Bensalem Township was founded in 1977. It was organized to collect and preserve the history of the Township. Our building on Knights Road houses a research library and museum and is open to the public. Please call 215-639-6575 for the hours.